So far in our recap of the theme of family at DIY MFA, we’ve covered why this theme matters to readers and shared recommendations for books about family. Today, we conclude our recap with a “how-to” post – specifically, how to explore the theme of family in your writing. This post is filled to the brim with writing prompts and brainstorming activities to help you with different angles of approaching this theme, from demonstrating family relationships through dialogue and interaction to using major life events to heighten conflict. So, grab some paper and a pen – or open a new document on your computer – and let’s begin! This year, I’m taking that goal-setting to a new level by trying a New Year’s ritual that my friend Leanne Sowul practices. Every January, she chooses a word to guide her decisions, intentions, and actions for the next 12 months. In that way, it becomes a sort of theme for her year. And knowing what I’ll be up to in the near future, I’ve chosen my own word to be my touchstone for 2019. Before I share that word, let’s put 2018 into perspective. First, in my latest regular article at DIY MFA, I take a break from literary themes to talk about something that many (if not all) writers deal with: perfectionism. By that, I don’t mean the warped belief that everything you write will be perfect. This post goes much deeper, pointing out other beliefs and habits associated with perfectionism and how they harm your writing more than help it. 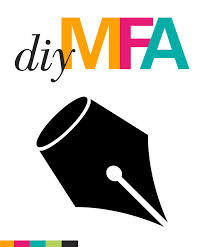 Most importantly, I share how my most recent struggle with perfectionism prompted me to re-read parts of Gabriela Pereira’s DIY MFA book – and what I discovered that inspired me to write this article.